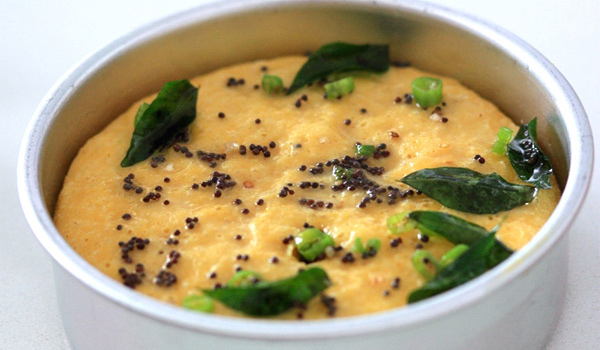 Unlike food from most parts of India, where spices are a dominant force, Gujarati cuisine is known for its subtlety. Not a meat eater? The food from the region is also a feast for vegetarians (and weight watchers) with its creative use of nutritious ingredients that offer balance – but still plenty of flavour. Chef Pranav Joshi, a household name in Gujarat, weighed in to debunk many of the myths surrounding Gujarati cuisine – while guiding us to the most delicious dishes for visitors to seek out. The young, ‘accidental’ chef realised he was passionate about cooking while training in hospitality management in Australia. 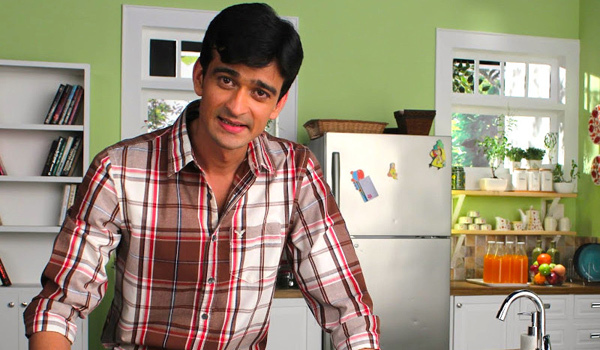 He returned to India and hosted a cookery show called Rasoi, dedicated to all things Gujarati. After that followed a show on the Food Food channel called Budget Kitchen and current programme Khane Bhi Do Yaaron. Additionally, the busy chef runs a popular cooking academy in Ahmedabad. Though Gujarati food is frequently stereotyped as being sweet, as the chef points out, that’s a myth. Apart from the region’s dal (lentils), which does have a tinge of sweetness, the food is all about balancing delicate flavours. If you’re watching your weight, Gujarati cuisine is the way to go, says Chef Joshi, as many dishes are steamed or boiled. 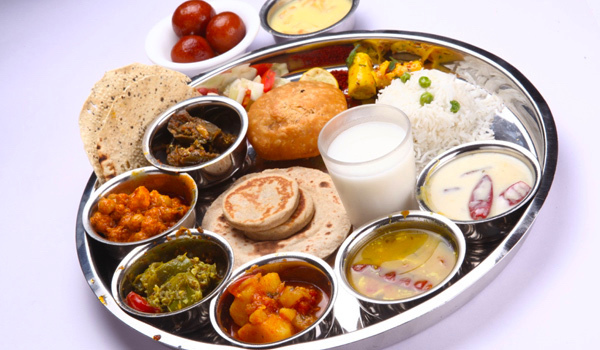 And if you’re not a big meat eater, the region is one to add to your list: Gujaratis are mostly vegetarian due to the influence of Jainism in the region. A few more basics for the first-time visitor: as Gujarat’s climate is hot and dry, sugar (or jaggery, a kind of cane sugar) lemons, and tomatoes are used extensively to keep the body hydrated. Pickles, farsans (a collective term for roasted or fried snacks), and chutneys are all popular meal accompaniments, while gram flour, lentils, sesame seeds and yoghurt are commonly used ingredients in main courses. Looking for a comforting, carby snack? Begin by discovering fluffy, lighter-than-air dhoklas (squares of steamed chickpea batter), khandvi (tightly rolled gram flour snacks), khakras (crackers made from mat bean, wheat flour and oil) and theplas (spiced flatbread). But don’t fill up on all that starch just yet: there’s much more to taste. Thalis are a traditional Gujarati staple, and consist of a silver platter heaped with an array of little dishes to try: you’re liable to find roti bread, dal, kadhi (thick, spicy gravy with vegetable fritters), sabzi or shaak (potato curry), rice and homemade pickle, sweets, papadums, and sweetened yoghurt, all followed up by a cooling glass of buttermilk. Phew. But of course, not all Gujarati cuisine is the same: the main regions of Kutch, Saurashtra (Kathiawad) and Surat all vary in their cooking and choice of dishes. Surat is famous for gharis (an indulgent local sweet) made with butter, dried fruits, condensed milk and rich halwa. Kathiawadi food is vegetarian but stands out as spicy, salty and hot. And the people from Kutch like khichdi – a moist dish made with rice and pulses – to be part of their daily meals. If you’re visiting Gujarat for the first time, Chef Pranav Joshi highly recommends the restaurant Vishalla, about five kilometres from Ahmedabad, for its authenticity. The food is served on a platter of leaves, and offers a wonderfully immersive, traditional dining experience. 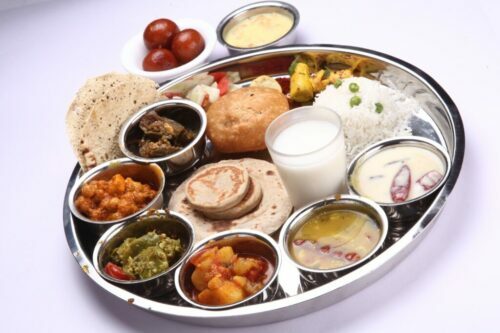 And even if you are a devoted carnivore, you’ll never miss meat in Gujarat, thanks to the sheer variety of vegetarian food. 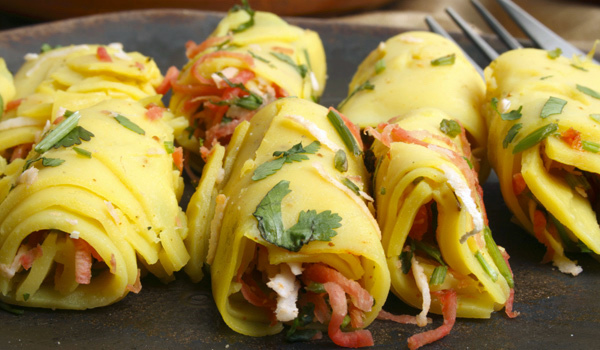 As Chef Pranav Joshi rightly says, Gujarati cuisine is a process of endless discovery.